after the movie, Miracle on 34th Street, was released in 1946. In Miracle on 34th street, the real Santa Claus steps in to replace a drunk Santa and decides to be Macy’s Store Santa to help fight commercialism. 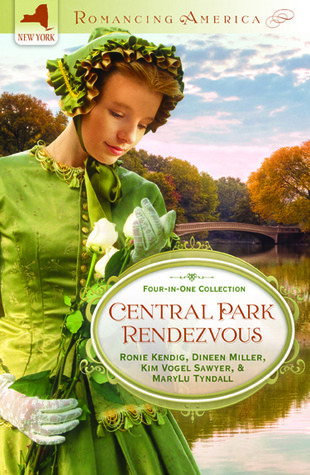 Hurrah for New York setting in CBA romance, and kudos to these talented authors for putting Central Park on the map for a reader's rendezvous with romance. Sean Wolfe has come back from Afghanistan a broken man. His past concerning his father Patrick's suicide haunts him as much as the TBI that leaves him with permanent mental scars. He has no one in the world but his devoted aunt, until a chance meeting brings closure to his past, comfort to his present, and hope to his future. Jamie Russo is the niece of Alan, former love of a woman named Gail, who is closing his antique shop after decades of business in Manhattan. Jamie grieves her uncle's decision both for the sake of his lost dream of finding Gail, and for the other loose ends it leaves. One of those loose ends, a packet of letters from the Wolfe family who were old friends of her uncle, becomes her mission. She has laid aside her dream of dancing, but finds purpose in caring for others. She seeks out the Wolfes, and finds Sean. The letters draw Sean closer to healing from his haunted past, to solving a mystery about his aunt, and to finding a love he thought he would never experience. Written with grit as well as insight, this story interweaves with the other three stories, going back in time to the Civil War following a keepsake coin through four generations of romance, until the satisfying end. This story features Gail and Alan during the era of the Vietnam War. Alan is Patrick Wolfe's best friend, and like a son to Patrick's father--perhaps moreso even than Patrick. The elder Wolfe gives Alan the family keepsake of a Civil War coin to pass along to the one he loves. When Alan proposes to Gail after a whirlwind romance in the city, including clandestine kisses on Bow Bridge, she promises to wait for him until he returns from the war. But will her former fiance lure her away with his money and prestige, or will her heart remain faithful? Helen Wolfe is a brave young lady tasked with raising her younger brothers and sisters after her parents' untimely death. Though gifted to sing like a songbird, she must leave that dream behind to put food in their mouths. Her former intended, a rising singer, scorns her practicality, drawn to the big city lights and theater fame. He wants nothing to do with her life of drudgery and responsibility. Helen comes to a painful decision to part with a family heirloom coin in exchange for food. At the pawn shop she meets Bernie O'Day, a kind and large-hearted man who gives her more than the coin is worth. He also employs her brother to help out. Their lives intertwine as a spark of love forms. . .they spend a Christmas together where Bernie plays Santa Claus to the younger Wolfes, and his heroism shines in contrast to Helen's former intended, who only esteems all that glitters. The attack on Pearl Harbor spurs Bernie to join the war effort, and the love story hangs in limbo from there. William Wolfe is a wounded officer engaged to Annie Shaw, a southern belle living on a plantation in Virginia. Little does he know that Annie's letters throughout the war were actually penned by her sister Permelia. When he returns to collect his bride, he has assurances from the genteel letters that she won't mind his dramatic facial scar. In person, Annie proves superficial and unfaithful. Will William's broken heart lead him away from true happiness with the real authoress of his love letters? Will the coin he gave Annie speak to Permelia that True Love Never Fails? The picturesque Bow Bridge in Manhattan's Central Park draws these couples through time to finding true love, often amid the downy snowfalls of a New York Christmas or New Years. This was my first time reading Dineen Miller and Ronie Kendig, and I was pleasantly surprised. I have enjoyed Kim Sawyer's work and consider myself a big fan of MaryLu Tyndall, so I knew I couldn't go wrong with this four-in-one. And the fact that one of the stories was set in the Civil War had me invested. Loved the concept of romances revolving around a family keepsake coin and rendezvous at Bow Bridge in Central Park. I grew up taking trips into NYC where my grandfather was a superintendent of a building on Central Park West. Ronie's and Dineen's novellas had the most tangible sense of the city out of the four stories, and I enjoyed revisiting it through their depictions. I adored the WWII story, and wished I could have closure on the chivalrous Irish soldier coming back from war for his sweetheart. This story of a sister struggling with her faith and to provide for her siblings moved me deeply--Sawyer's handling of deep emotions felt genuine and sincere. Each character reflected redemptive aspects of honor and sacrifice, selflessness and faith. And her humble, kind hero is among the most admirable I've ever read. The modern romance by Ronie Kendig involving a hero with Traumatic Brain Injury returned from war captured my heart. Her writing was fresh and heartfelt, and the conflict of the heroine and hero to pursue their true dreams made for a lovely story full of hope and heart. Dineen Miller's Vietnam era romance had gritty and bittersweet moments. I admired the depth with which the author writes, exploring themes such as PTSD, Post partum depression, and even betrayal. It was interesting how one author would add to the other's work and intertwine story threads. MaryLu Tyndall writes about sisters in a love triangle. Unique storyline with a wounded hero who thinks he's in love with one woman, only to discover that his true North is the other. This story was a page-turner, written as only MaryLu Tyndall can write. Nothing is as charming as a New York Christmas. I'm so delighted to share these romantic stories of faith and connection with you this week. Today I am offering a gently read copy of this collection to one lucky commenter. Answer this question: Is there a special hand-me-down gift in your family? Extra entries can be earned by sharing on fb, twitter, google+ and pinterest, and by following this blog. Winners drawn Friday, Nov 22 at 8 PM eastern. Good luck! I just finished this quick read at 3 AM--it was a page turner and a twisty-turny journey to happily ever after for two young people at a crossroads in their lives. Dorie Fitzgerald is left to raise her two young children after her husband Captain Devon Fitzgerald dies in the Iraqi war. She moves to be near her parents' home in upstate NY, and rents a house from her father while her mother provides daycare. She struggles to find a job, and decides to get to know the community through a local theater production of "It's a Wonderful Life". There she meets two eligible bachelors and is swept from one romance to another, but her heart is drawn to the quiet and unassuming Jamey Sullivan. Jamey is an aspiring and agented actor on the cusp of his dream, but has laid aside his personal ambitions for a season to see to his dying father's affairs. 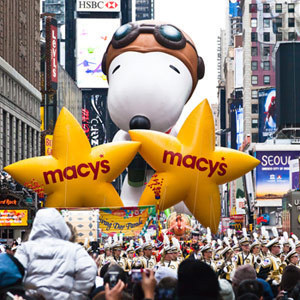 The last thing on his mind is romance and family when the Broadway lights beckon. But something about Dorie makes it harder than ever to leave the small town behind. It isn't Bedford Falls, but he is a doppelganger for George Bailey, and there is a Mr. Potter type of monopoly threatening to take over the town of Midville in the form of Junior Harwood. In this contemporary Christmas classic redeaux, everyone finds a happily ever after--even Junior Harwood and Dorie's spurned love interest. Jamey gives up his Broadway debut for the quiet small town life and settles down with Dorie, her son Josh and daughter Emma, and a dog named Boomer. The town is spared from a monopoly and welcomes back their hometown boy scout leader and erstwhile hero. And the struggling characters find through faith and budding romance that it really is a wonderful life. 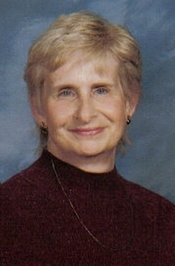 Linda Wood Rondeau: Born in Syracuse, New York, I graduated from North Syracuse High School and went on to Houghton College, majoring in English and education. As often happens, I changed to a social work career working in various human services fields for nearly thirty years. As my heroine in It Really IS a Wonderful Life, I met my wonderful husband doing Community Theater. Three children and nine grandchildren later, we moved from Northern New York to enjoy the benefits of the sunshine state, mainly golf and daily walks. I published my first book-length manuscript in 2011, The Other Side of Darkness, a Selah Award winner for best new novel. Then came I Prayed for Patience God Gave Me Children, a devotional book, in 2012, It Really IS a Wonderful Life, a Christmas novella, in 2012 and Days of Vines and Roses, a contemporary suspense with paranormal elements, in 2013. 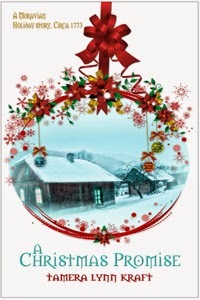 Coming soon: two Christmas novellas: Joy Comes to Dinsmore Street (HHP) and A Christmas Prayer (LPC),a novel, Songs in the Valley (HHP) and a Jolly Angels, a contribution to HHP's romance anthology, Blue Heaven. You may learn more about me on my website, http://www.lindarondeau.com, or on facebook, twitter, Pinterest, Google Plus, and Linkedin. Enter to win one of two copies of this delightful retelling in today's comments. Winners drawn Friday, Nov 22. 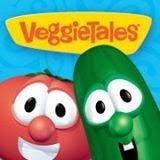 See Monday's and Tuesday's posts for two other chances to win a unique New York Christmas story. Tune in tomorrow for a chance to win a collection of Christmas romances set in New York City's Central Park. To enter today, tell us about your favorite Christmas movie. For extra entries, tell me if you shared this post on fb, twitter, google+ pinterest, and if you are a follower of this blog. I received this book as part of a gift basket from Seekerville.com. It was the large print edition, and the first thing that caught my attention was the lovely cover image. But what made me jump right in and read is the fact that it is set in upstate NY towns I have known well, such as Houghton, Wellsville, and Olean. Ms Herne's writing is a departure from my typical read of historical romance, and her style is straightforward and yet artful, easy and yet containing more depth than meets the eye. When a stoic Iraqi war veteran and single mom meets the man who has taken over the development her father has lost to foreclosure, she promises her heart to keep a safe distance. The contractor, a young marine with a past that needs the same finishing work as the housing development he seeks to complete, has anything but love on his mind. When Matt Cavanaugh meets Callie Burdick, even his tough marine training hasn't prepared him for the siege she stages on his heart. With themes of redemption, forgiveness, commitment, and determination, this sweet contemporary romance packs a big story in a small package. Besides a lovely glimpse at charming small town life in upstate NY, the Christmas story plays out in modern terms as mother and child find shelter under the covering of an adoptive father, and love conquers sin and debt. Lovely on so many levels, this book makes me want to read more from this talented and insightful author. 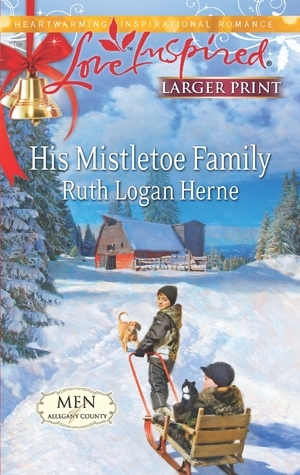 See yesterday's post for another chance to win one of Ruth's Christmas in Upstate NY books from the Men of Allegany County Series. 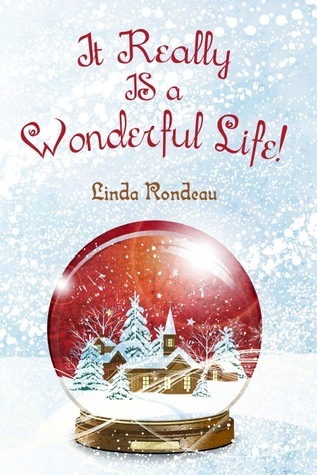 Tune in tomorrow for another giveaway of a New York State Christmas story, It Really is a Wonderful Life by Linda Rondeau. To enter, leave a comment about a prayer God answered for you in an unexpected way. For extra entries, tell me if you shared this post on Fb, twitter, google+ or pinterest, and if you follow this blog. Good luck! I really enjoyed this sweet story about a retired Army Colonel and a young entrepreneur in Upstate NY who find romance and comfort in one another's arms. Haley Jennings loves a challenge in business--she has started a co-op in her grandfather's old factory right during the Christmas rush, which would be a daunting task for the most focused among us. But then, a monkey wrench is thrown into her life--her brother has left his two young sons into her care. With a five and a three year old in the back seat of her convertible, Haley must find time, food, and resources on a cold Thanksgiving night when her search lands her at a church meal, locking eyes with a handsome and mysterious man--Brett Stanton. Brett hides his pain by hiding from the world. He has lost family in the war and has shut himself off from relationships--until something about the beautiful lady and her two young wards tug at his heartstrings. As a resident of upstate NY who has traversed these same small towns--Bolivar, Jamison, Wellsville, Olean. . . I found this book to be a delightful trip through my memories of beautiful countryside and warm-hearted people. This writer captures small town hospitality and the rugged, pull-together aspect of these communities. Her characters are believable and sympathetic, and their stories resonate in the heart. Even though Christmas is past, the snow is still white on the ground, and I thoroughly enjoyed reading this holiday happily ever after. 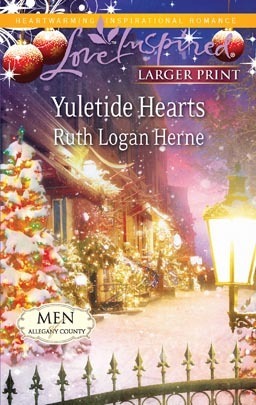 Tune in tomorrow to hear about another of Ruth Logan Herne's Upstate New York Christmas stories, Yuletide Hearts. Leave comment below with your favorite Christmas memory. One winner for each book this week will be chosen on Friday, November 22. You can earn extra entries by sharing on FB, twitter, pinterest, and google+, (see upper right corner of blog for easy buttons) and for subscribing to this blog via email or feedburner. Let me know what you did for your extra entries. Good luck! 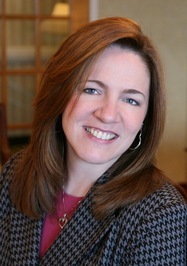 Welcome Elaine! We are so happy to have you here this week as a follow up to the review of your lovely novel (posted here Oct 28), and that you have agreed to share a bit about yourself. (Elaine) Thank you so much for having me! Q: First of all, coffee or tea? In your story you show how tea was a sign of British loyalties, and how true Patriots only drank coffee. Q: What causes are you passionate about, and do they find their way into your writing? A. I am passionate about many things, mostly about injustice to the down trodden and poor. In my third book, “The Legacy of Deer Run,” I depicted the prejudices of the upper class townspeople to the “hill people” who were hard workers but quite poor. That attitude is so contrary to God’s teaching as described in James 2: 2-6. In Proverbs 29:7, it says “The righteous care about justice for the poor, but the wicked have no such concern.” There are so many verses about the poor in Scripture that, were I to write them all down, it would take up this entire blog post and more! A. I’ve written stories and poems since I was a child but I suppose I understood that I might be a “writer” when a newspaper editor saw some of my work and she offered me an opportunity to do freelancing. I still find it difficult to grasp the concept of being called a writer. Every time someone introduces me as an author, I have this uncomfortable feeling that I should be looking around the room for the “real” author! A. I’ve always been intrigued by Mother Theresa and her work. I think I would love to sit down with her and ask, “How did you know, beyond a shadow of a doubt, that this is what God called you to do?” Imagine the love in her heart to reach out to those who many would prefer to ignore! My biggest mentor has been my husband, Steve. When I first met (and then married) newspaper reporter, Steve, I was intrigued by his job but never in a million years imagined that I would become a published author. When I, many years later, felt the compelling urge to write my first novel, Steve was instrumental in helping me hone my skills. I’ve always admired his work and hope that my writing is even half as good as his. 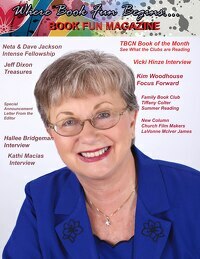 I’ve also learned so much about the craft from author/editor Lisa J. Lickel. She knows her history and she knows word “stuff!” LOL! 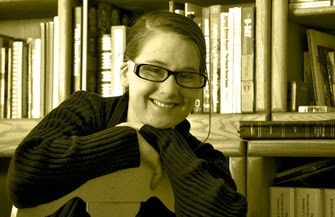 And she taught me so much about writing book reviews, a skill that is tougher than many might think. Q: What do you hope your readers will take away from your books? And can you hint at any works to come? I want my readers to first of all be drawn into the characters in my story, to feel their fears, joys and hopes. But I also want my readers to come away spiritually awakened in some way so that they feel closer to God. Since I write historicals, I definitely want my readers to be swept up in another era so they can, hopefully, understand life long ago. Works to come? I am taking a one-book-break from historical fiction to write about my journey with my daughter through her battle with brain cancer. She passed away ten years ago this month when she was only 24-years-old. What I hope to accomplish in Bethany’s Calendar is to show God’s grace and mercy in the midst of my life’s greatest trial. But I also hope that my journey with my daughter will help other families going through similar circumstances know how they can be an advocate for their loved one. And how they can survive, with God’s strength. A copy of Fields of the Fatherless will be drawn for one lucky winner via random.org on Friday. You can gain extra entries by subscribing to this blog, Elaine's blog, and sharing on fb, twitter, or google+ at top right ADD THIS bar. Tell me in the comments where you shared, and don't forget to leave your email addy with your answer to Elaine's question. (Kathy) Thank you for being with us this week. I wish you every blessing as you write for His glory! (Elaine) Thank you so much, Kathleen! Sometimes the greatest stories of bravery and sacrifice are hidden from the history books. Sometimes those stories need to be told. In the early months of 1775, war is brewing in the American colonies. Although frightened, eighteen-year-old Betsy Russell of Menotomy Village, Massachusetts, wants to be prepared in case of attack by the British troops. Her father, prosperous farmer Jason, is the fourth generation of Russells on this land—yet their very rights as British Colonials are being stripped away one by one. Will the King of England take the Russells’ land as well? Tensions are growing here in the countryside west of Boston and the outbreak of battle seems almost a certainty. Jason desperately wants to protect his family—his wife, children and grandchildren—and their future. Betsy makes every attempt to be prepared for the worst. Novelist Elaine Marie Cooper is the author of The Road to Deer Run, The Promise of Deer Run and The Legacy of Deer Run. Her passions are her family, her faith in Christ and the history of the American Revolution, a frequent subject of her historical fiction. She grew up in Massachusetts, the setting for many of her novels. 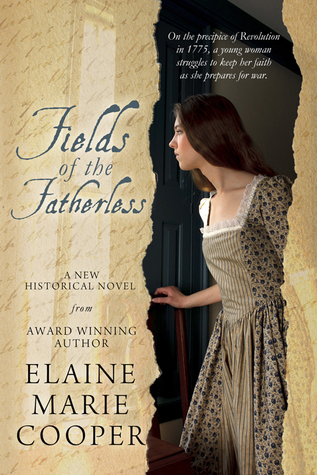 Fields of the Fatherless releases October 2013. It is November. It is already getting very dark, cold and gloomy at times. It is getting close to Thanksgiving and Christmas. Families can be difficult to deal with. This is a very common time to start feeling down. Here are some good suggestions to help you deal with all of that. Can you first look to Our Lord, getting into a 15 minute bible reading time each day and maybe just start in Psalms or 1 John? Can you start to believe that Our Lord can bring you out of feeling down? Can you consciously start to walk a little bit every day especially during a time when the sun is out? Can you buy a natural light all spectrum lightbulb? Lowes or Home Depot probably carry them. Spend time soaking in that light. I'm sure you all know how to change a light bulb Or borrow a tall son if it's a ceiling light bulb--t least mine can change light bulbs without a ladder. Also bring out your warm fuzzy clothes and socks but don’t start just vegging! Start praying to Our Lord to get out of your dark mood and start praying to our Lord on how to deal with sad and angry and moody people and not lose the peace and love our Lord sends you. And also start doing a bunch of kind actions for the people around you. It blesses them and it makes you feel so much better. Remember the Lord said we are to love Him with all our heart, soul, and mind, and to love our neighbor as ourselves. Even if our neighbor is the most unlovable person!! And also remember Matthew 5:16 "Let your light so shine before men." That means we never, ever answer back when somebody says a nasty word to us. You answer back with God's love and you can only do that if you stay close to our Lord.